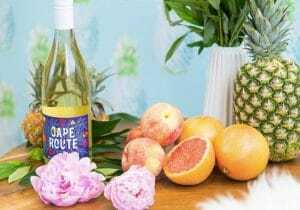 CBD drinks are the next frontier in the delivery of CBD. There are already a number of ways to ingest this cannabis-based chemical. There are CBD gummies, CBD vape oils and CBD powders. CBD drinks are viewed as a way to expand access and acceptance of this unique product. First a brief explanation of what CBD is. CBD (the acronym refers to cannabidiol, one of the molecules in cannabis that isn’t psychoactive), when isolated from THC (the chemical compound in marijuana that is responsible for the "high") is capable of reducing mental and physical anxiety. The medical world is looking at CBD as a potential treatment for issues like social anxiety, panic attacks, and generalized anxiety disorder. CBD is currently legal in all 50 states because unlike the other major compound of cannabis, THC, cannabidiol does not alter your state of mind at all. Because of this, many consumers are starting to turn to CBD-infused beverages to help relieve stress, improve the quality of their sleep, reduce anxiety, and muscle pain. It offers all of that, without having to deal with the mind-altering consequences that come with taking THC. The potential for CBD drinks is so large, major beverage companies are starting to partner with CBD experts to craft new CBD-infused of their popular drinks. Until we see some of those products rolling out, we have to find niche produces of CBD drinks. We've done the research and found a few we think you should know about. To be blunt, even if cannabis is well on its way to being recognized as a completely legitimate medicine, there are unavoidably still a lot of legal issues dragged along with it. With that said, that’s a topic for another day that this article won’t be covering since we’d rather embrace the positives of what CBD-infused drinks bring to the table. The industry is still green, so we’ll just be looking over a couple of choices we consider to be worth your time to actually check out, whether you want a novelty to impress your friends with, or a healthy addition to your everyday life. If you’re looking for something to give your mornings a strong, fresh start to get your through the day, you’ve hit jackpot with Kickback Cold Brew Coffee. Other than the addition of CBD, these are made with hemp oil along with some fun variations in flavor! These include almond milk and monk fruit, as well as cashew milk and agave. Kickback is just our top pick we’ve come across, but this cold beverage is regardless definitely something to consider if you want your consistent, daily dose of CBD packed in one tasty bottle of coffee. Unrelated to this product in specific, if you’re just too bound to the unique ritual of making your own cup of coffee whenever possible, there are always options for cannabidiol-infused coffee beans (Green Roads makes these, for example). Even so, beans soaked in CBD will be much more difficult to find compared to the more common, bottled-up alternative. Honestly, just seeing the quality that comes with buying a pack of this Cannabis Blend from Dirtylemon reminds me how far we’ve come from the stoned age (pun intended) of questionable chocolate brownies. There are lots of choices out there for fruity drinks, lemonades and similar products elsewhere, and we do recommend that you experiment with what you have available, but this is surely something else! This Cannabis Blend includes, apart from CBD, organic lemon and pineapple juice, purified water, a mix of blood orange, tangerine and pineapple along with a whole bunch of hemp oil, minerals and pink Himalayan sea salt. In other words, its stuff that’s incredibly good for you. As far as CBD-infused beverages go, you won’t want to miss out on this one if the opportunity arises. Other than drinks like fruity blends and lemonade, there are a lot of things you can do with cannabis, either by yourself or by purchase. There are some great CBD Kombucha drinks from M Kombucha. Other options like the CBD-infused milk will take your morning to the next level once added to a cup of coffee. Alternatively, making use of sugary syrup with cannabis can be a game changer as well. This way, you’ll be able to sweeten, well; just about anything you want to along with grabbing your daily dose of CBD. If these two seem like a great idea but you just don’t have any luck with buying something similar on the market, you can always give it a shot yourself and make them at the comfort of your own home. The internet is a massive source of information and you’re bound to find some useful written guides that’ll help you out whenever you find yourself stuck on the next step. That’s about it when it comes to CBD drink options we’re fond of, and we sincerely hope that we managed to broaden your horizons just a little bit once you’ve read through this far. There’s only so much that we can cover at once, so feel free to let us know about some cannabis-infused drinks that you really like, but we missed!